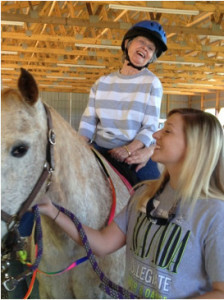 Medical studies show that spending time with horses can actually improve the quality of life for individuals with Alzheimer’s and Dementia. 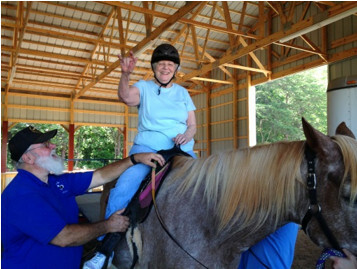 Rising Hope Farms offers therapeutic activities that will help these individuals to feel better and enjoy themselves in the moment. Experts say the therapy can help patients overcome anxiety and depression, build self-confidence, increase coordination, balance and muscle strength, and improve interpersonal relationships because of the special bond formed with the horses.